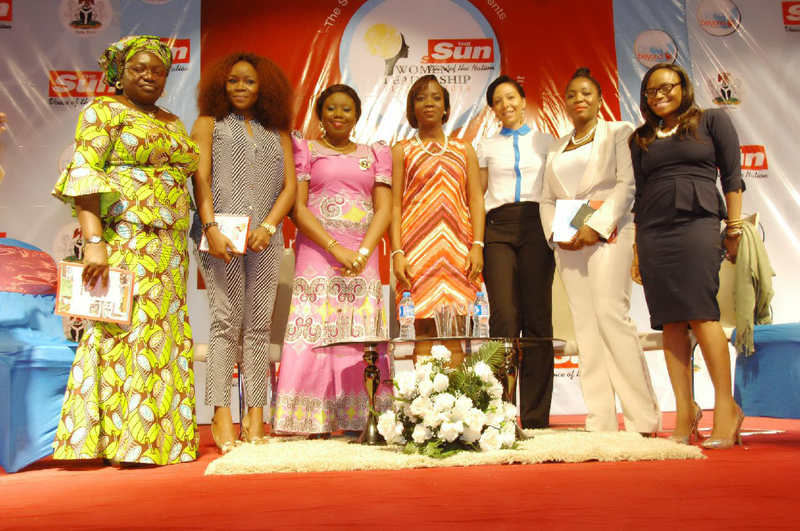 The Sun Publishing Limited in partnership with The Delta State Government hosted the First Edition of The SUN Women Leadership Summit on the 8th – 10th of October 2014. The three – day summit featured a number of Notable and Successful Women across the Nation who spoke on the challenges faced by women and how they can WIN and SURVIVE in a man’s world. 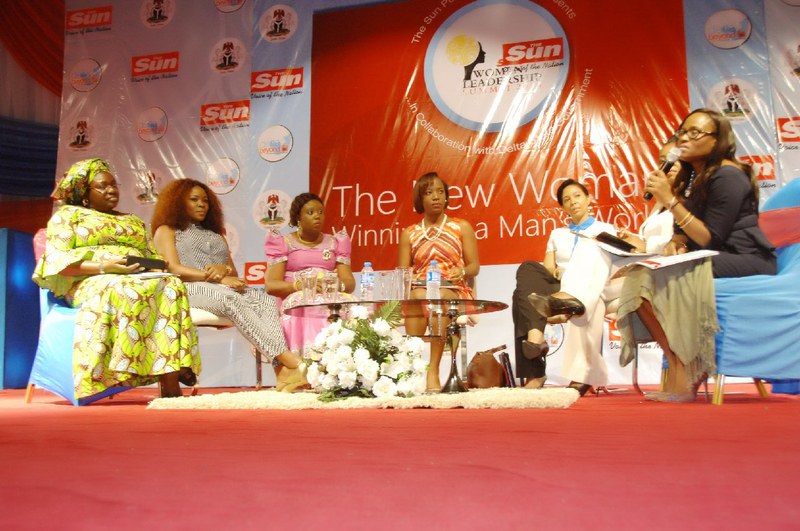 The theme of the Summit was “THE NEW WOMAN……., winning in a Man’s world“.  Highly respected Female entrepreneurs and World changers were invited to speak at this event. They include: Opening Keynote Speaker: Dr. Evelyn Ndali Oputu, Development con­sultant for emerging markets and former Chief Executive Officer, Managing Direc­tor and Director of Bank of Industry Limited from De­cember 2005 to April 17, 2014 who spoke on the theme of the event. The First day, First Session Featured, Mrs. Faith Tue­dor-Matthews, Managing Director/Chief Executive Officer, Mainstreet Bank Limited who gave an eye opening speech on “Deleting the Limits in the Corporate Market Place”, while Rear Admiral Itunu Hotonu of the Nigerian Navy chaired this session. Panelists, who dis­cussed during the first session include Mrs. Funke Osibodu, Managing Director, Benin Electricity Distribu­tion Company Plc, Mrs. Iquo Ukoh, Executive Director (Marketing Ser­vices), Nestle Nigeria Plc, Mrs. Lola Odedina, General Manager/Head, Communi­cations & External Affairs, Guaranty Trust Bank Plc, Arch Jumoke Adenowo, Manag­ing Director/Chief Execu­tive Officer, AD Consulting and Prof. Franca Omorodion from Windsor University, Canada. The Second Session had Aderonke Onadeko, Ad­viser BNP Paribas, UK and Principal Consultant DRNL Consult Limited, who spoke on “The Female En­trepreneur- Passion, Prof­its, Challenges,” this session was chaired by the former Chair­man, Economic and Finan­cial Crimes Commission (EFCC), Dr. (Mrs.) Farida Waziri. 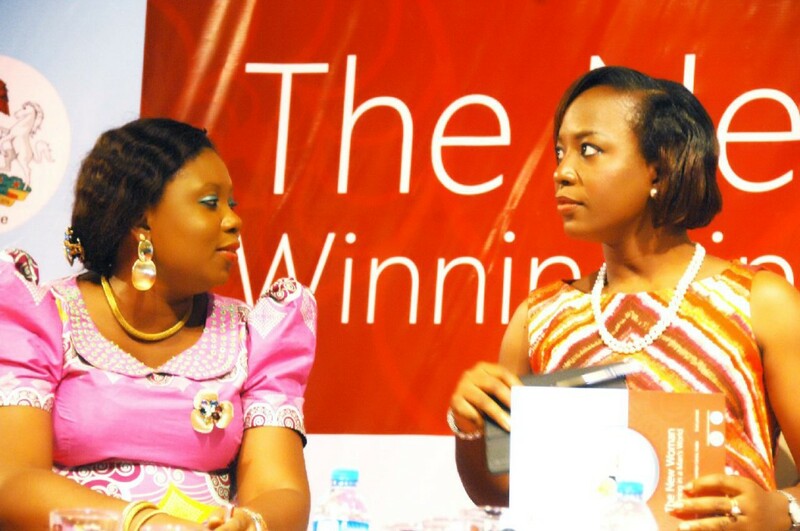 Members of the panel that discussed during the second session include Emem Isong, film maker and pro­ducer, Ag­atha Amata, Chief Executive Officer, Manag­ing Director/Chief Execu­tive Officer of Rave TV, Mrs. Tara Fela Durotoye , Chief Executive Officer, House of Tara, Mrs. Nike Ogunlesi, Founder /CEO, Ruff ‘n’ Tumble, Founder, Mrs. Ndidi Okonkwo-Nwuneli, LEAP Africa and Barr. 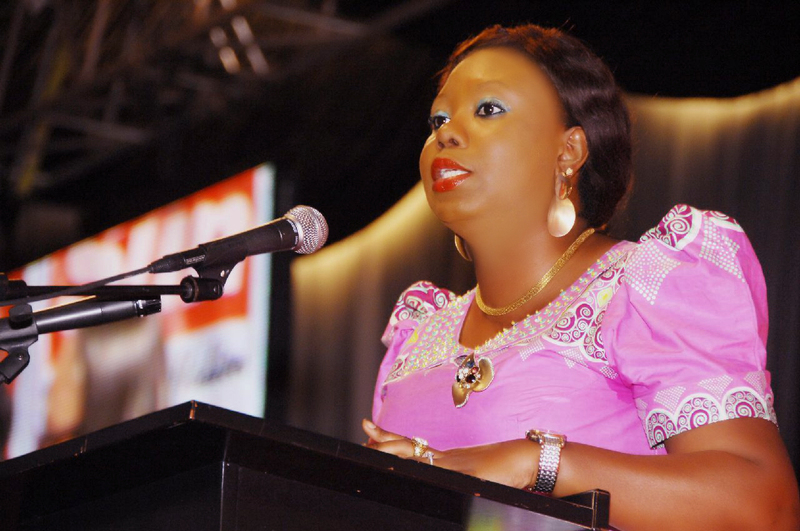 Mary Iyashere, Managing Director, Rima Bakeries and Confectionar­ies. Over the coffee session had the First Lady of Delta State, Deaconess Roli Nere Uduaghan, she lectured the audience on the topic “Balancing the Home Front and the War Front”. 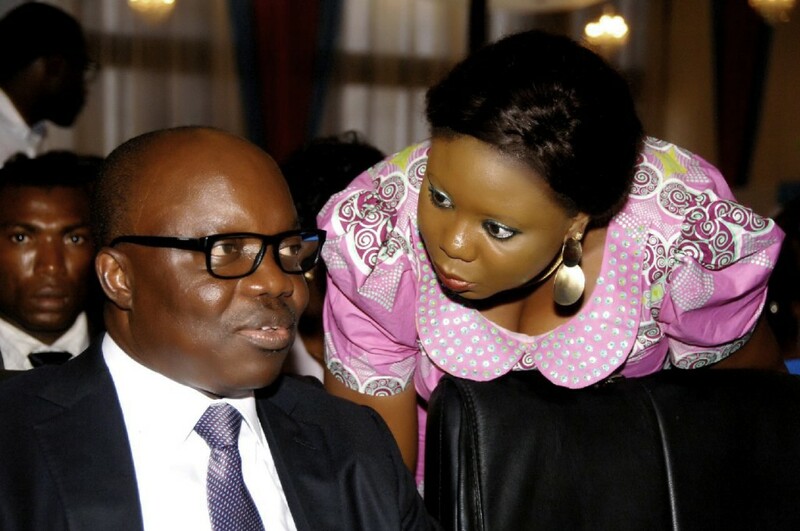 On the second day, Sena­tor Grace Folashade Bent discoursed on “When the Hen Crows,” with Senator Nkechi Nwaogu as chair­person. Senator Florence Ita- Giwa, Senator Stella Omu, Founder Agape Birthright, Ms Annkio Briggs, Barr. Chuka Odom and immedi­ate past Minister of Women Affairs, Iyom Josephine An­enih, were discussants of this session. Dr. Anne Ojimba, during the ‘Over the Coffee Session’ discussed on “Your Health or Your Life,” with Governor Emmanuel Udu­aghan, as moderator. 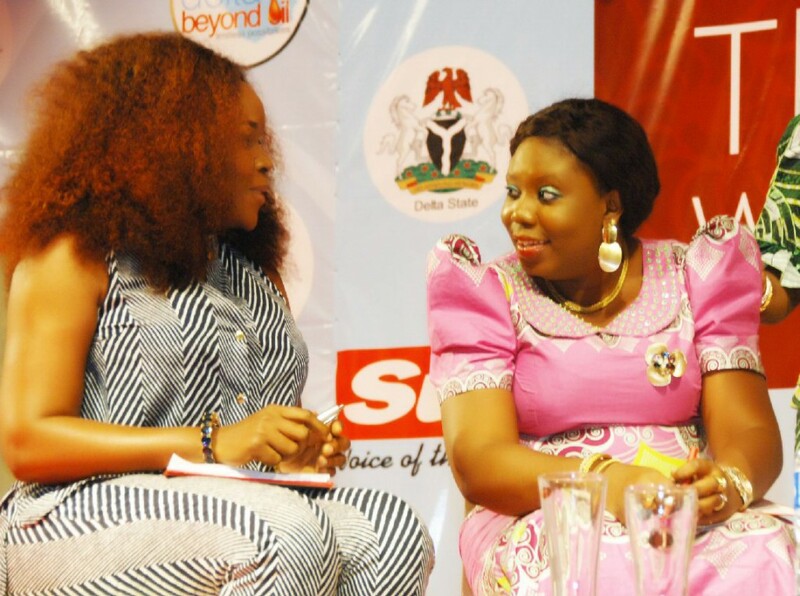 The Second session featured me, Toyosi Akerele, The Founder/Chief Ex­ecutive Officer, Rise Net­work Group, I expatiated on the topic: “She Wins, You Win, We Win: Women Facing Forward by Building Stra­tegic Partnerships.” The ses­sion was chaired by Ms Maupe Ogun of Channels Television, while the panelists for this session include Mrs. Nkemdilim Begho , Man­aging Director, Future Software Resources Ltd, Dr. Ufuoma Okotete, Managing Director, Diamond He­lix Medical Assistance, Mrs. Funke Buc­knor-Obruthe, Managing Director/CEO, Zapphire Events, Ms. Helen Emore Managing Director Warri Industrial Park and Omawunmi Megbele. The third day and grand finale of the summit featured a health walk and proj­ect tour followed by a gala night. From Left to Right, Ms. Helen Emore Managing Director Warri Industrial Park, Omawumi Megbele, Maupe Ogun of Channels TV, Nkemdilim Begho Managing Director of Future Software Resources Ltd, Dr Ufuoma Okotete Managing Director of Diamond Helix Medical Assistance and Funke Bucknor-Obruthe Managing Director/CEO, Zapphire Events.